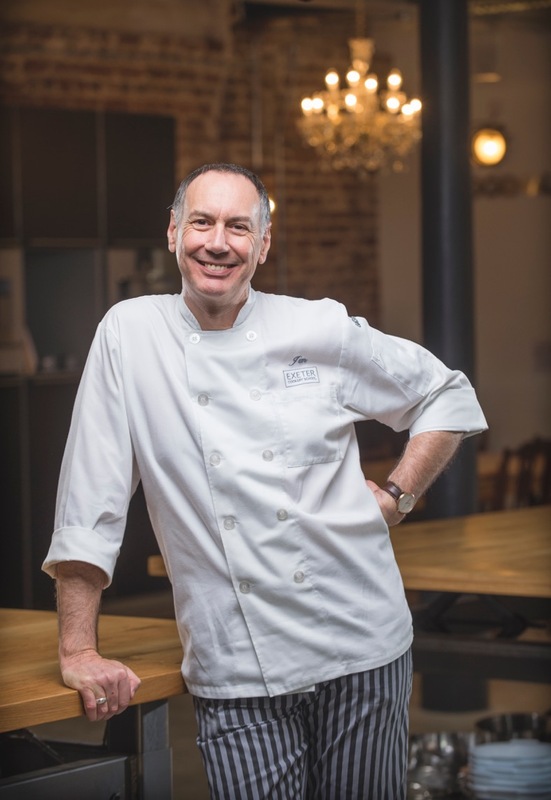 Make your Brussels Sprouts a family favourite this year, with an amazing recipe from Jim Fisher, Chef / Tutor / Director at Exeter Cookery School. Perfect for your Christmas dinner for even the fussiest of eaters! Trim the base of each sprout and peel off any loose or yellowing leaves (there’s no need to cut a cross in the stem). Cook in plenty of well-salted boiling water for five minutes or so until the sprouts are tender but still retain a little crunch. Drain, then immediately place in a bowl of very cold water to halt the cooking process. When cool, drain and cut into quarters. Fry the bacon in a little butter until just crisp, then remove. Retain the fat in the pan. When cool enough to handle, stack them up and cut across into 1cm strips. Re-heat the frying pan with the bacon fat and throw in the sprout and chestnut pieces. As they begin to brown add the chopped cooked bacon and drizzle over the maple syrup. Sprinkle in the nutmeg and stir until everything is heated through and the sprouts are coated in bacon fat, butter and maple syrup.